In times of flexible production and small batch sizes, the chemical and pharmaceutical industries are using modular construction. Also Bilfinger CEO Tom Blades wishes to grow further with pharmaceutical projects and pre-assembled systems and is investing in new production capacity for this purpose. Can a plant from the modular system reverse the fortunes of the foundering maintenance specialists? Small. Multi-product capable. Quick and easy to retrofit - the production plant of the future has to be a real all-rounder. This brings plant system concepts to their limits: Existing production environments can only meet these flexibilisation requirements to a limited extent, experts say. Therefore, modular plant construction from pre-assembled building blocks should render assistance: Built from off-the-shelf modules, cleverly integrated in existing value chains, delivered pre-assembled and tested to the construction site, the new plant generation should help to make production processes flexible and adaptable. 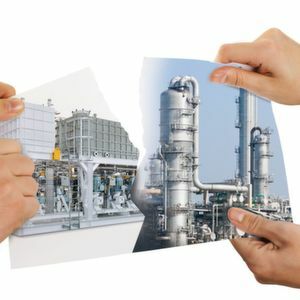 In fact, even the German engineering association VDI concluded in a study that modularization is one of the dominant trends in the chemical industry. In the future, the association believes, the manufacturing or processing of end products could be done locally with production modules directly at the customer’s site. If it were up to the industrial services specialists from Bilfinger, the modular system are ripe for their breakthrough in the pharmaceutical industry. The trend to biosimilars and personalised medicine requires a rethinking of the production beyond world-scale blockbuster manufacturing: Cost pressure and small batches mean that manufacturers are increasingly outsourcing services and are making use of ever smaller compact systems. Bilfinger already designs, plans and manufactures such plants in so-called skid designs at its subsidiary Bilfinger Industrietechnik Salzburg (BIS) in Austria. The company, with 500 employees, has excelled in the past few years with sales growth of almost 100%. Interview: "Stainless Steel (Still) Has Potential"
? Mr Eitel, how important is the understanding of the process for an industrial service provider and system builders? Tobias Eitel: We need to understand the process of our clients - whether it be a cell culture process, a microbial process or purification. Because of this, we have 85 engineers in the company in order to discuss matters on an equal fitting.
? What trends can you see in the pharmaceutical and biotech sector? Eitel: The issues personalised medicine and small batches have been dominating the discussion for a long time. More and more medicine is being produced using biotechnology - and - thank God - Central Europe is still an in-demand location. A chemical synthesis runs fully automatically, but in a fermentation - microbially as well as in the case of cell cultures - the operators need a high level of training.
? How important is modular plug & play system in this context? Eitel: We see now that ever more and ever larger units are prefabricated and are not assembled on the construction site. The customer no longer wants to have as many contractors 'on-site' - the time to market is also getting shorter. Therefore, many modules and skids - and if possible, even plug & play. The fact that the plug &play concept has not been completely implemented is usually down to automation, since all of the individual components have to be involved in a common automation concept.
? What is the situation with downstream processes? Eitel: We want to be able to offer the customer the complete process chain from the inoculum up to freezing. It may be that a lot of the big boys are serving the mass market with their off-the-shelf products - but with individual solutions, we see great potential for our expertise. We have been able to position ourselves well in the field of ultra-filtration, nano- and virus filtration and are going further in the field of purification in a research collaboration with the Vienna University of Technology.
? Do you see the changes in the biopharmaceutical industry as an opportunity or a challenge? Eitel: It is a challenge - many customers often use disposable solutions because of the flexibility and the lack of cross-contamination. However, we are of the opinion that the single-use concept was not fully thought through to the end: leachables, extractables and the gamma radiation are not researched enough at all. Stainless steel is not going into extinction - there is also need for research here, precisely with regard to wash, CIP and SIP times. Here, stainless steel has further potential - not least in terms of CAPEX. Bilfinger - A Specialist for Pharma Projects? But hang on a second: A leading maintenance specialist and industrial service provider as a pharmaceutical plant builder? In fact, the present BIS began 1954 as Rohr- und Heizungsbau Gesellschaft (tube and heating manufacturing company) (from 1955 Österreichische Rohrbau and part of Mannesmann). Just ten years later, the first projects for the Austrian pharmaceutical industry were taken on by Mannesmann Anlagenbau Austria (later MAB). 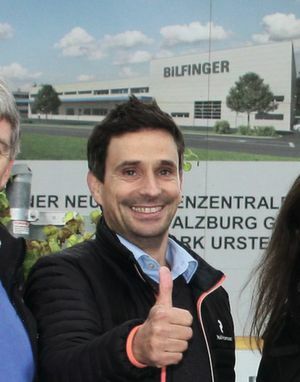 Since 2009, the Salzburg-based company has been part of Bilfinger and has contributed to the business field of engineering & technologies with tailor-made skid equipment and piping pools for biotechnology, pharmaceutical processes and also semi-conductor manufacturing and energy supply.